Grum’s debut album, Heartbeats, was released in May 2010. A confident debut record, it was compared to Daft Punk’s Discovery and MYLO’s ‘Destroy Rock & Roll.’ The album went to number 1 in the US iTtunes Electronic Dance Charts, and by the end of 2010 he was named ‘Best Electronic Artist of the year’ by UK iTunes. 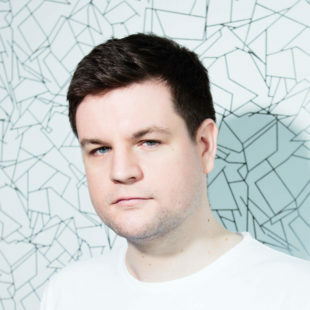 Grum returned in 2013 with “Everytime” the debut single from his second album “Human Touch”. “The Theme” – his second single was one of Annie Mac (BBCR1) ‘Singles of 2013’, and ‘Electro Single Of The Month’ in Mixmag, while his third single “In Love” was released in January 2014 and reached number 35 in the Beatport Top 100, number 8 in the Beatport Progressive House Chart, as well as number 3 in the DMC World Buzz Chart. A fourth single “Tears” which reached number 2 in the DMC World Buzz Charts, number 9 in the Cool Cuts Charts, was released on Armin Van Buuren’ label Trice Recordings. Then in May 2014 Grum had the honour of making first ‘Essential Mix’ for Radio 1.